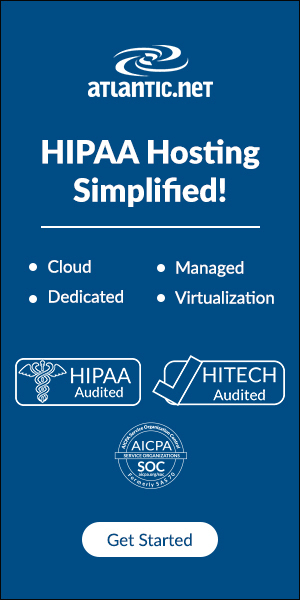 HIPAA compliance umbrellas everything done in your practice, and this includes having a HIPAA compliant fax system. Learn how to keep yours secure with these tips. Since its passage in 1996, the technology for transmitting and maintaining patient records has undergone substantial change. Medical practices have transitioned from a mostly paper record system two decades ago to a fully accessible electronic record keeping system today. These changes have brought new challenges in maintaining HIPAA compliance. Health care providers must be ever vigilant to ensure that their office practices comply with HIPAA guidelines. 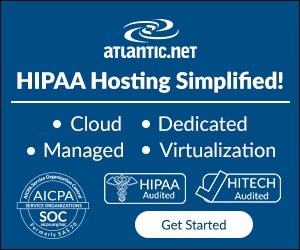 Everything from phone systems and computer servers to facsimiles and scanners must be operated in a way that is HIPAA compliant. The penalties for even an unintentional failure can be high. What Information Must Be Secured for HIPAA Compliance? HIPAA requires covered entities such as medical practices to protect the privacy of individuals’ identifiable health information. The data protected by this law is called protected health information (PHI). The HIPAA privacy rule says that whether written, spoken or in electronic form, patients’ private health information must stay private. HIPAA also requires covered entities to implement plans to ensure the security of protected health information that is received, maintained, or transmitted in electronic form (e-PHI). To comply with this security rule, a medical provider must ensure that e-PHI is maintained and transmitted securely. Providers are also required by the law to protect their patient’s information against reasonably identifiable cyber-threats. A document can’t simply be forwarded to another physician by email or slipped in a fax machine with no cover page. The 2009 Health Information Technology for Economic and Clinical Health Act (HITECH Act) required that the health care industry begin transitioning from the use of paper to electronic recordkeeping. Incentives were put in place to encourage this transition. In 2015, penalties began to accrue for those who failed to make the change. As the switch to electronic recordkeeping finalizes, it makes sense to move away from your physical facsimile machine and begin using an internet fax service to handle your document transfer needs. Of course, the transmission of patient information whether by physical or internet fax still must comply with HIPAA’s security rules. While HIPAA’s laws allow for some flexibility in the handling of e-PHI, determining exactly how to comply can be a daunting task. The rules require covered entities to take reasonable measures to keep information safe. But what qualifies as reasonable isn’t spelled out by the act. Unsurprisingly, many medical practices have found that maintaining compliance with these high-tech standards is best left to qualified vendors and business associates. An internet fax service allows your office to transmit faxes via computer or using a mobile device. Faxes sent via this method use Internet Protocol instead of a traditional phone line to send your data. Documents are delivered in digital form, so there is no paper document to get lost or misplaced. Different methods of transmission for internet or e-faxes may be used by a fax service provider. Most providers offer a selection of options. This allows each physician to choose the method or methods that best serve the needs of his or her practice. Some providers use a secure website that is only accessible by members of your organization and business associates. In some instances, patients can also access their personal information using this type web portal. Only authorized users are allowed access to your health care portal. Using this system, medical documents can be uploaded by a physician using a password. The information can then only be downloaded by another user with proper authorization. Other internet fax companies provide encrypted documentation services. Once a document is encrypted, it can be sent securely via email or text. Only a recipient with an encryption key can access the information. Cloud-based sharing may also be used with encryption. Similar to emailing, your patients’ files are encrypted before they are uploaded to the cloud server. An alternative to encryption for documents sent via email is password protection. Using sophisticated password programs can ensure that information is sent securely and in compliance with HIPAA guidelines. Using an internet fax service better secures your patients’ records and saves your staff time. With internet faxing, there is no longer a chance of someone unauthorized intercepting a document at the fax machine.Your staff gains time because they no longer have to wait by the fax machine to retrieve documents and place them back in the physical file. Finally, you no longer have to worry about faxes that don’t go through or get lost on the other end. Instead, documents are delivered straight to the designated web-interface page or email address. With password protection and encryption, internet fax systems ensure that only those authorized to access a document can do so. More and more, doctors and their staff find their precious time stolen away from patients in favor of compliance and paperwork. When you delegate your fax processing to a fax service that is knowledgeable about HIPAA guidelines and technology, you can invest the time you save in treating patients. A qualified fax service will provide up to date encryption and tech support. You won’t have to make sure new staffers are trained to perform these tasks or worry about installing upgrades on your computers. All you have to do is make sure your staff knows and follows your fax service provider’s instructions. The details are all handled behind the scenes. Any service provider or vendor who has access to your patients’ medical information must provide assurances that they understand the HIPAA restrictions and will comply. Usually, this assurance is made in the form of a business associate agreement (BAA). HIPAA Compliant internet fax services know the rules. They are business associates that have the experience to do the job right. Many HIPAA compliant fax services obtain third-party certifications demonstrating their knowledge of HIPAA guidelines. While these certifications aren’t government issued, they demonstrate the commitment of these services providers. Even in modern day and age, the use of a HIPAA compliant fax service is justified if not other means are available or well suited. That’s why we’ll be focusing on secure fax services by releasing more articles on this matter the next months.